Recognise these? 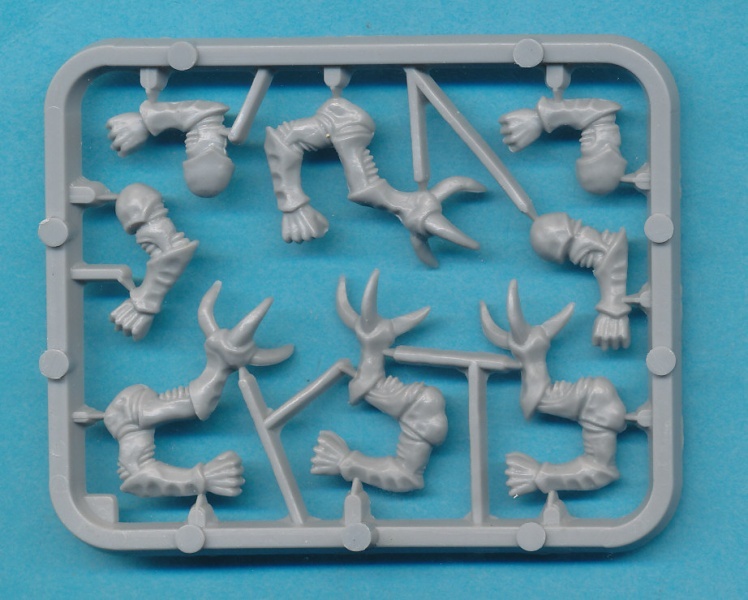 These inconsequential little sprues of plastic? 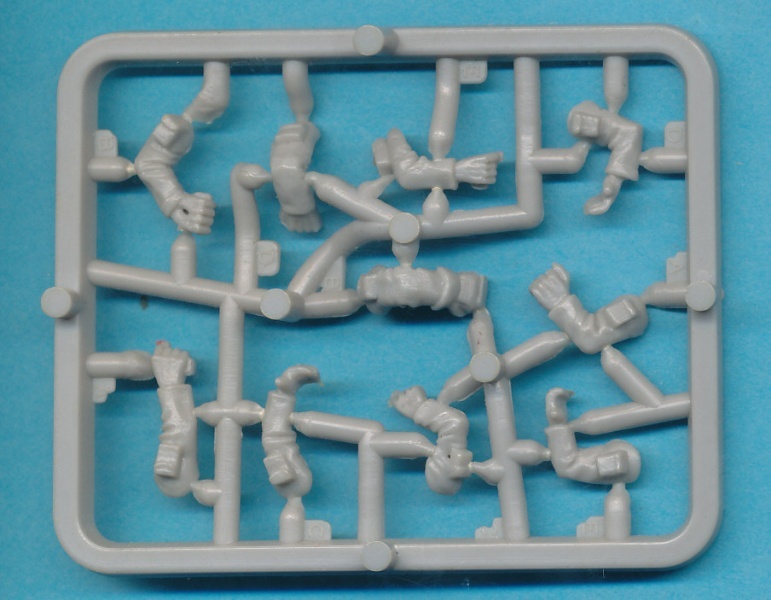 All these tiny grey limbs that we used and discarded with such carelessness in our youth? We return to our fantastical adventures during the revolt of the dutch against the imperialist Spanish! In our last episode the Heroic Sir Thomas Cocksure attempted to stop the evil Lady Giselle from getting her hands on a relic of some unknown power. He failed and was captured in the attempt. His good friend Sir Jack Falstaff was wounded by a magical bolt to the chest. He has spent time convalescing and through his network of informants has learned that Sir Thomas is being kept in the town of Fooertparp. But Giselle and her minions are about to move him so Sir Jack and his brave lads must move quickly! The town of Fooertparp, occupied by the nefarious Lady Giselle and her Spanish allies and Monstrous minions. 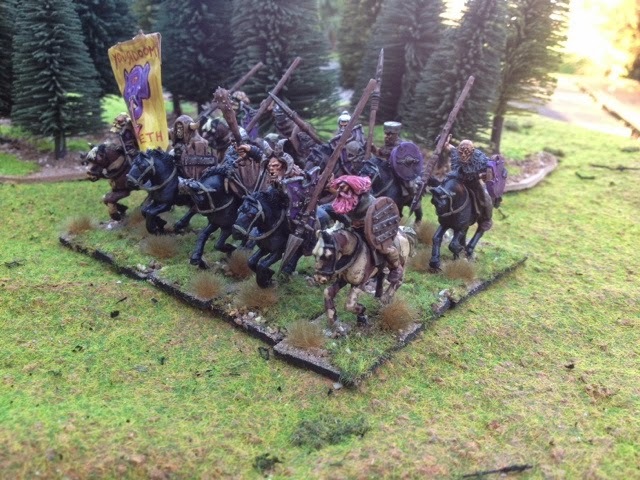 Lady Giselle had been up to her old tricks again and had resurrected some dead landsknechts to do her bidding, she also had two units of 5 Spanish arquebusiers as well as her bodyguard, Hurtz, the ex-family goat and her apprentice in the dark arts, The Mad Monk. As threatened a couple of months ago, I've gotten round to adding some more monstrous types to my casts for the Elizabethan Gothique games. 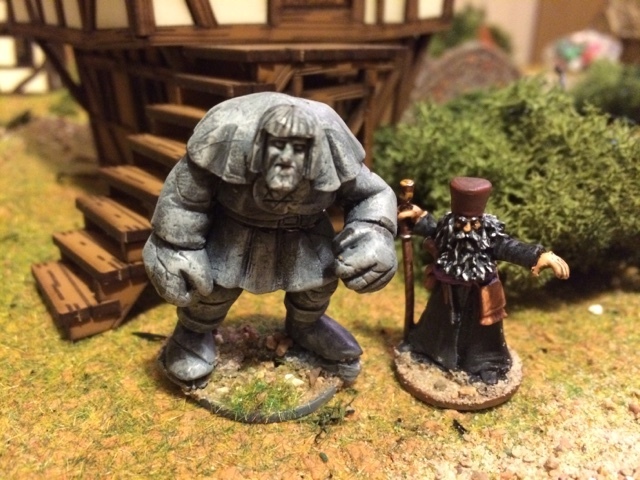 First off is Rabbi Costinov and his Stone Golem. The good Rabbi was given the secrets to creating golems by a cousin in Prague and he has used it to defend his home from the rampaging Spanish. He has been convinced to come to the aid of the English forces. His help will come in handy. Mistress Giselle has been experimenting with the magic items that she gathered in the last game. They have given her the power to transform normal humans into monstrous forms. In this case she has created two Ogre's to bolster her forces. 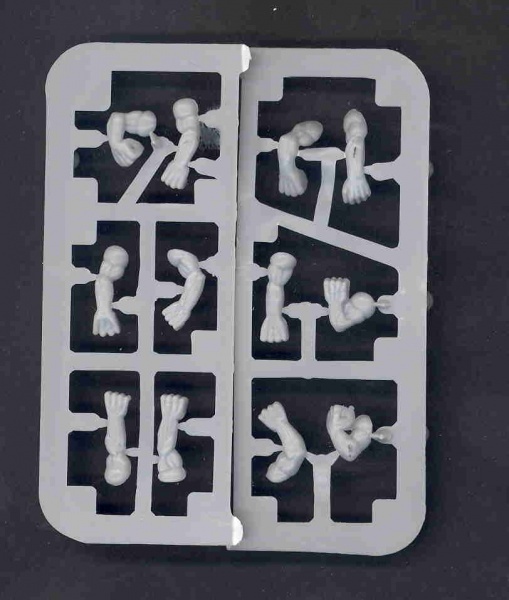 These old Marauder Ogre's are are perfect for the timeframe and add another level of menace to Giselle's forces. 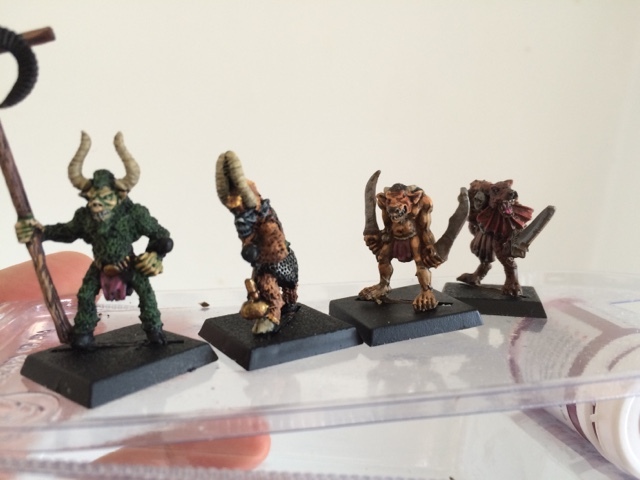 Just a quick post to show some work on the Chaos Beastmen. I've been back and forwards to Devon and Scotland visiting relatives so I've not had huge amounts of time to get stuff done. We're back at home to stay though so hopefully I'll get more done soon. While I get my head down and get on with painting fantasy stuff (4 beast men done since the last post, the rest of them undercoated. I just need to get into the painting habit a again and I'll be copping along!) my head has been churning with ideas for games for next years BOYL. Yep, I'm that excited. 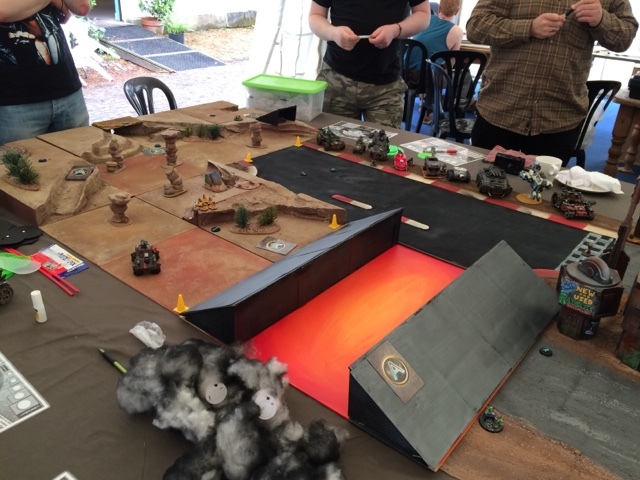 I fancy running a game next year and I've gone through a couple of different ideas, one of which was a dinosaur hunt on a death world with eldar hippies protesting (quite violently) about all these big game hunters killing of the precious little lizards. 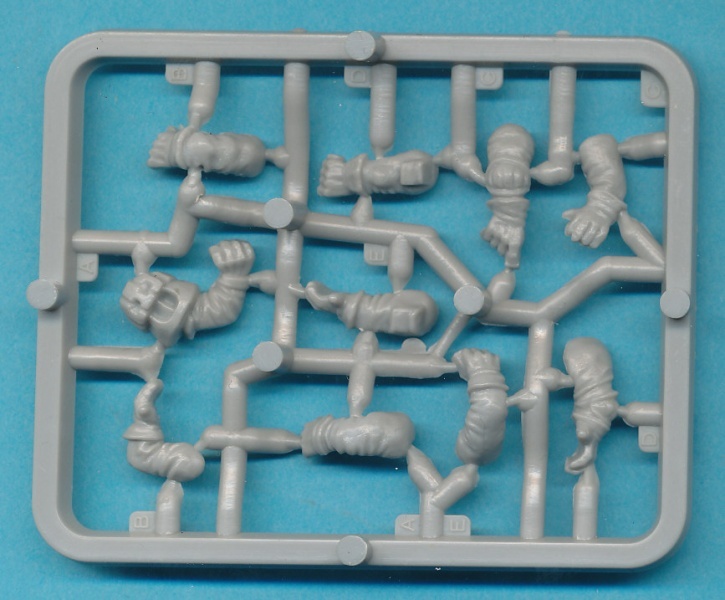 What I have settled on though is classic Rogue Trader setting. 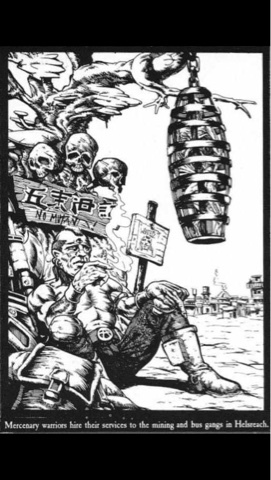 Any of you that are familiar with the RT rule book will remember the Logan's world section illustrated by Carl Critchlow (he of Thrud fame). It was little portrait of a world that only occasional comes under the control of the imperium and most of the time is a place of hard lives and hard knocks. Ideal for setting a game in. Ideal for setting a game at next a years BOYL in! I have admitted to being poop at getting fantasy stuff painted. So it's time to do something about it. 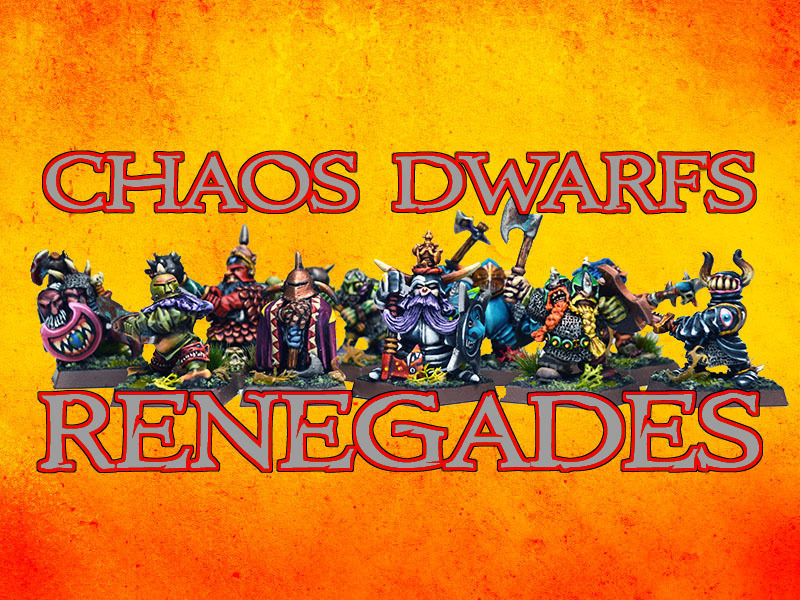 This autumn I'm going to try and get as much of my Chaos army painted as possible. It's time to stop collecting stuff and actually get it ready to be placed on a table and used in anger. I've already started for gods sake! The above unit of Mounted Chaos Thugs were done as part of a painting challenge that failed miserably. It's time to do some more. In order to collectively shame me into into getting stuff done I thought I'd show what I've got to paint. In a moment of toilet based calculations I worked it out to round about 5000 points if I get it all painted. More if I add magical banners and weapons. I've also started some beastmen. 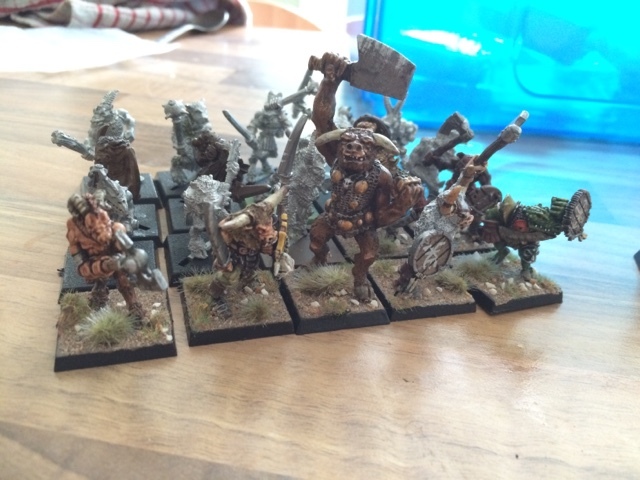 I've painted 6 for a war band and a Minotaur to lead them. 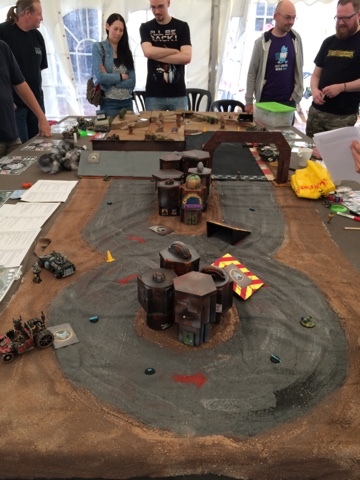 The Friday before BOYL we were invited for a game at Warhammer World by Axiom. The idea was that we all go and have some games with Andy of the Tales from the Maelstrom crowd, but he couldn't make it. He did, however, send Gadge along as super-sub. Also in attendance were Cheetor, Asslessman, Antipixi, Just John, Graham and Paul. Captain Crooks wandered around in the background looking like and excited puppy and stalking Jes Goodwin. We ended up blethering loads and only got a single game in but it was a cracker of a game. The highlight of Sunday was a marvellous example of why a bunch of grown men spent the weekend acting like 5 year olds in a sweet shop. 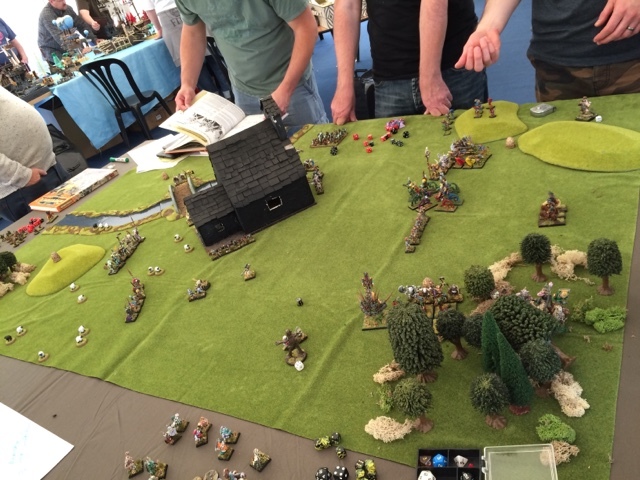 The legend that is Captain Crooks flew all the way from the Antipodes to join in the Oldhammer fun. 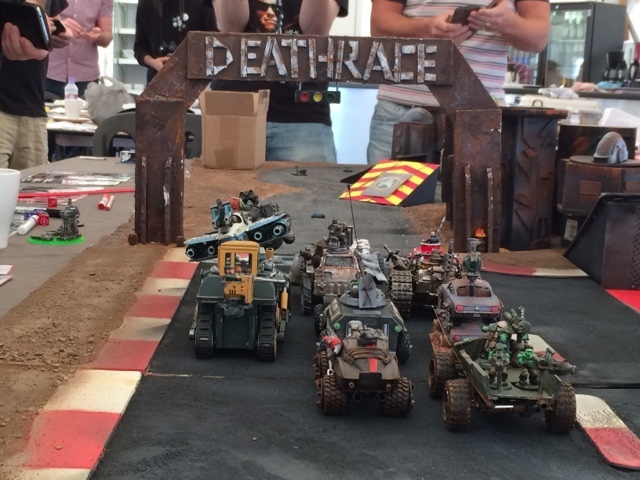 He had sent the Killdozer over last year to take part in the gorkamorka gambit this time he out did himself. The good Captain wrote the rules and printed out (and laminated!) 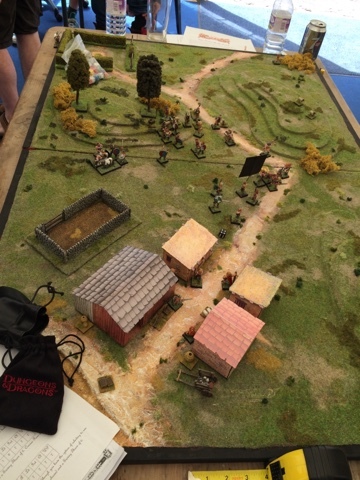 game sheets and cards as well as organising a crew of folks to put the game together. As he was flying the amount he could bring was obviously limited but we all rallied around to make sure his vision was fulfilled. The track itself was the result of the efforts of the Fabulous Erny, the Gentlemanly Fimm McCool (who didn't even play in the game! Bless his bearded soul!) and myself. You can see the mat I made for the bottom half of the track above to which has been added some of the Ferrograd buildings. The good captains wife had made the start line signage and the ramps and they'd survived the trip across the world! 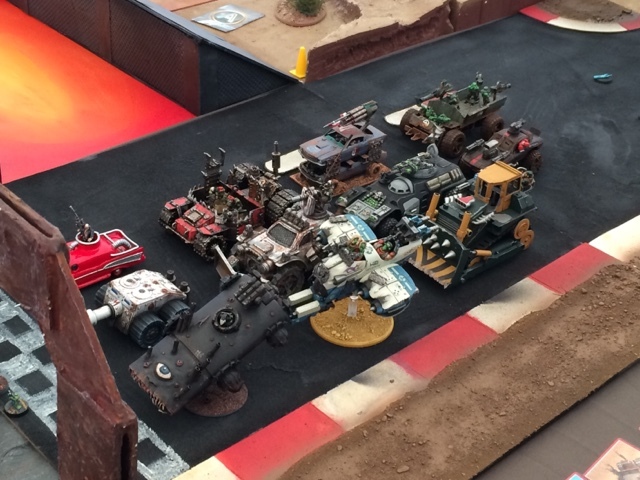 Their were twelve contestants in all, the Bel air special (check out the covers of old dark future novels), The Mork 5 (speed racer crossed with a resin gobsmasha), The chaos Flyer (JB's postmodern take on the daddy of all Rogue Trader scratch builds), My own Ork Battlewagon, Ramshackle Curtis raider, The orky flyboys in a AT43 flyer, A couple of Imperial guard driving two mustangs - On top of each other!, The tombstone express in all it's wacky races-esque glory, the return of the Killdozer, Blorko's Bullit with working remote control and the Redback being drive by the Captain on behalf of Bluey. A twelfth contestant entered at the last minute and added more works to the party! 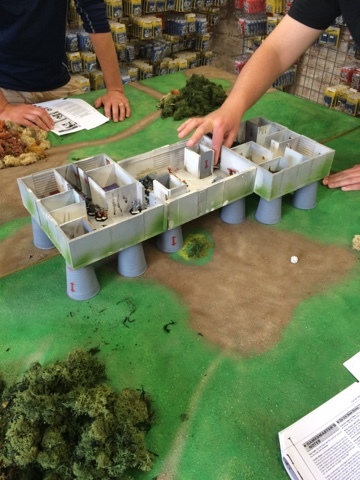 While I was spectating over at Axiom's Anarchy in the Underhive game, Dral came to find me and asked if he could play the Vulture Warriors game. 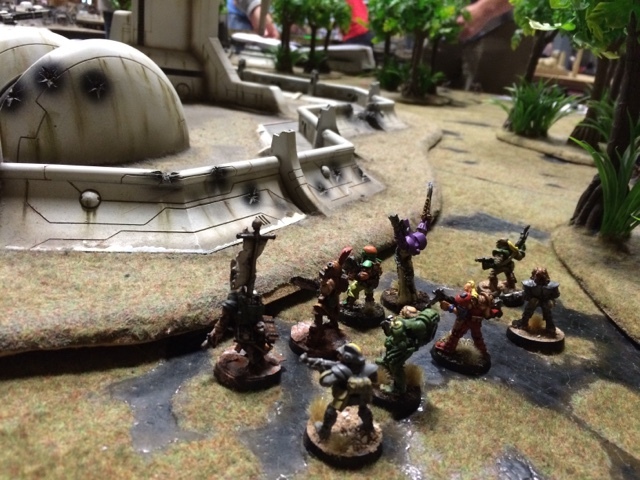 He had painted up all the Paranoia figures and Erny had donated the Orks. 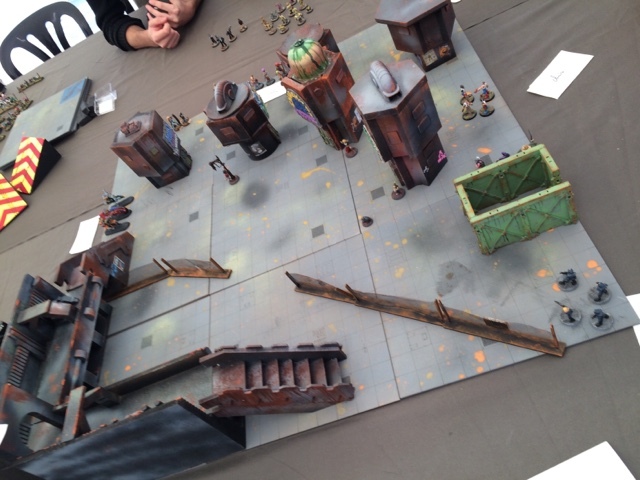 Warlord Paul took over the Orks and Thantsants took on the Red Level Trouble shooters. We played it traditionally. 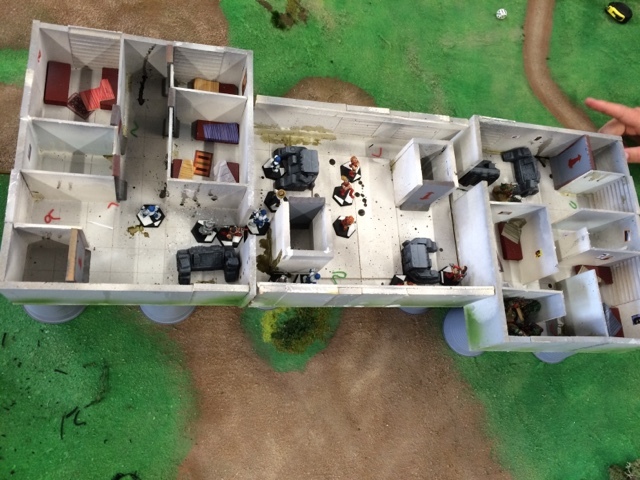 Both parties started off in their separate sections of the base only moving to the central table when they moved into the central room. 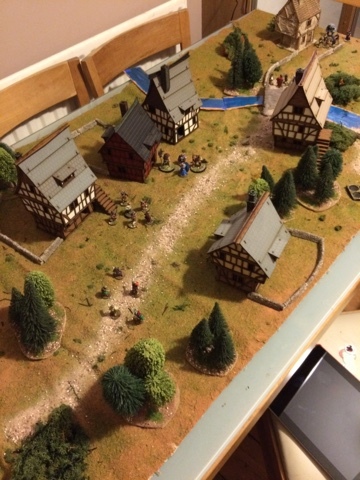 Dral had deliberately not re read the scenario an Thantsants also had no idea what was going on, I reckon Warlord Paul had a bit more knowledge but played the game as if it was all knew to him. My second game of the day saw me entering the game late. 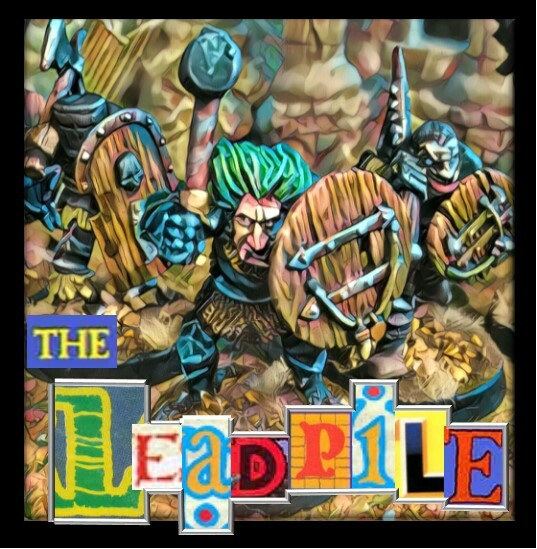 This fantasy game had been organised by Thantsants after Lenihan, who originally proposed the game, had to make his own Journey to the east (to Mongolia in fact). The story based about the adventures of the Hobgoblin chief Vidhal Timotei. The vicious little chap had been making enemies all over the great plains and they had all tracked him down. At the same time. While he was sleeping. 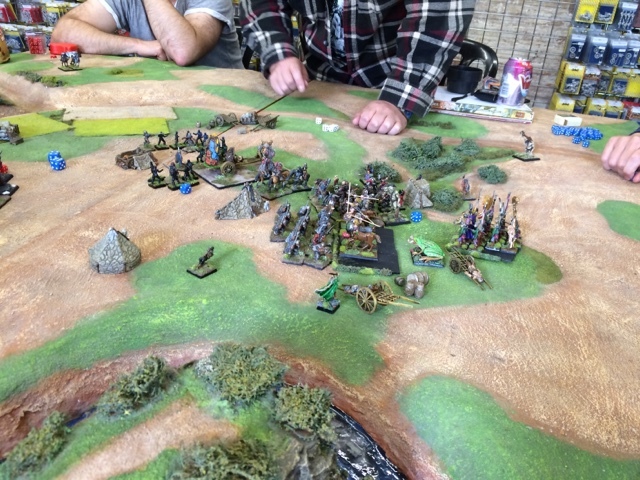 By the time I arrived the Hobgoblins were being attacked by Horse raiders, Elves, Centaurs, Ogres, Half-Orcs and Ninjas (yep Ninjas!) and a Giant Frog. 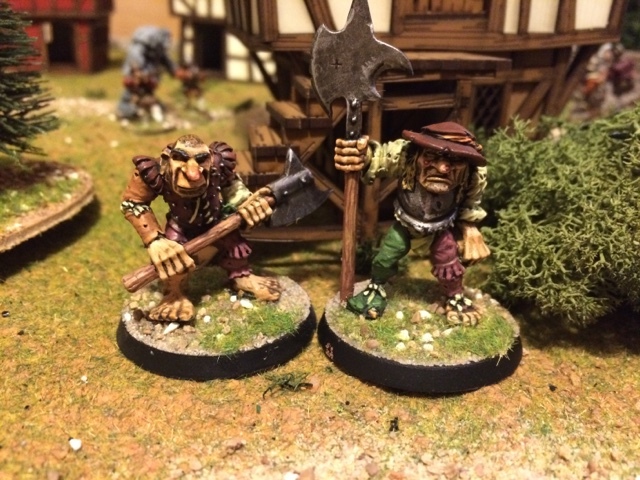 BOYL Saturday Part 1 - Do Rogue Traders dream of Electric goats? OK! Lets see if we can power through some post BOYL posts. I've uploaded all the photos and I reckon it adds up to a half dozen post so stay tuned for the next couple of days while I try and get through them. First up is JB Asslessman game on saturday morning. 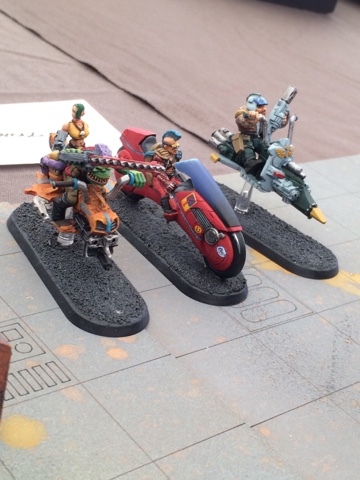 In keeping with last years Highlander themed sensei game, this was based on Bladerunner and featured a variety of gangs variously trying destroy or save the replicants on the board. Trouble is, nobody knew who the replicants were. Only way to find out was to interview them and then deal with them accordingly. Turns were random based on cards being drawn (the is fast becoming a favourite mechanic for multiple player games and featured in at least three of the games over the weekend). 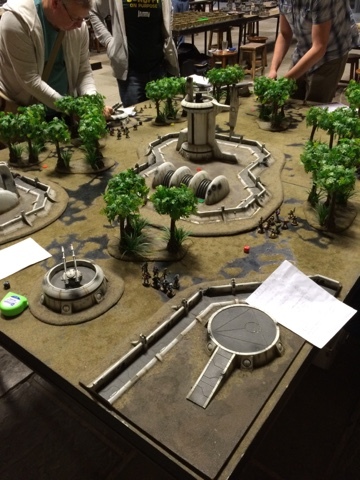 Players were Fimm McCool, Ashley, Captain Crooks, Cheetor, Antipixi, Axiom and myself with JB GM'ing. You can see some of the gangs below. 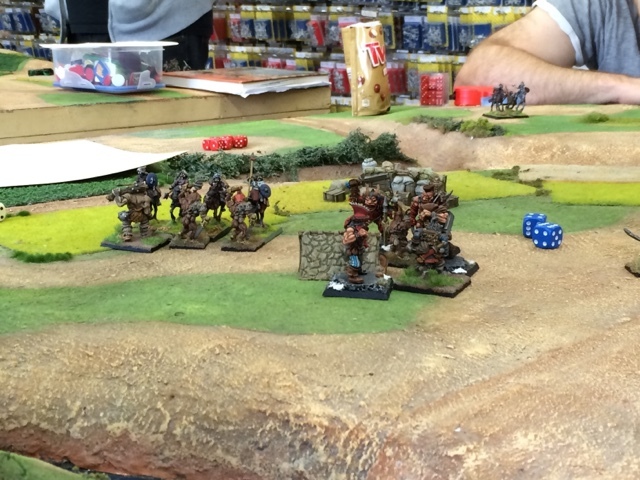 I'll write up some proper posts about the games I played at BOYL in the coming days but I figured I'd show off a load of pics from the games that were going on all over foundry. This is basically all the games that were running at about 2pm on Saturday so only gives you a snap shot of the day. Enjoy.